The Brig, closed in September, is open again. 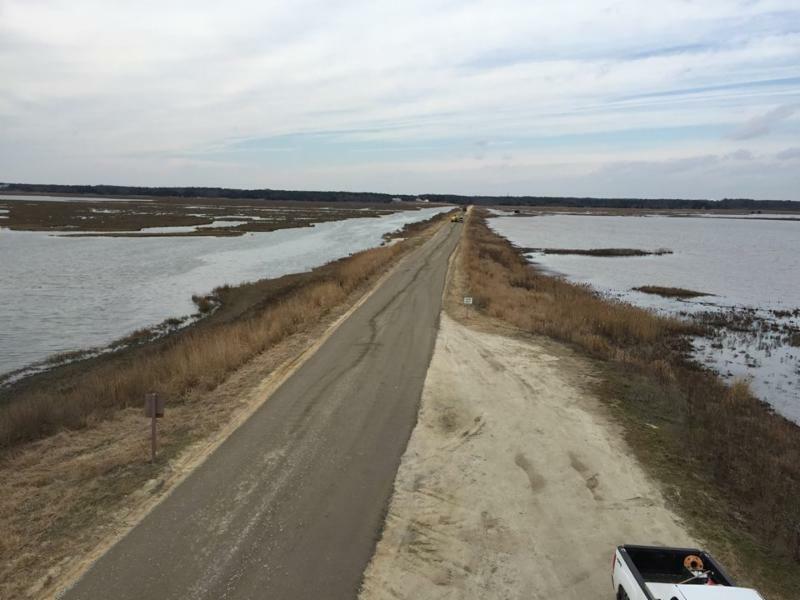 I’m trusting that the construction has ceased as declared, so that not only human, but also winged, visitors can return to the Edwin B. Forsythe Wildlife Refuge. Get down there A.S.A. P. outside of Smithville and Oceanville, NJ, to see snow geese, where they belong, claiming their own refuge, along with every gorgeous complex winter duck! And the resident peregrine. And who knows, maybe even a harrier or two? WILDLIFE DRIVE IS NOW OPEN! As of Friday, 2/10/17, Wildlife Drive has fully reopened! We thank you for your patience during construction. To show our appreciation, there will not be an entrance fee until April 1st! Wildlife Drive normal hours have resumed, sunrise to sunset 7 days a week. The Visitor Center winter hours are Monday through Friday 10am-3pm, Saturday and Sunday 9am-3pm.